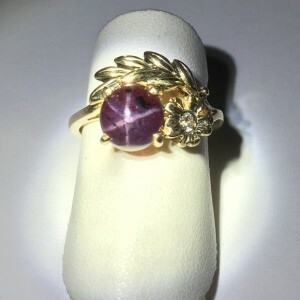 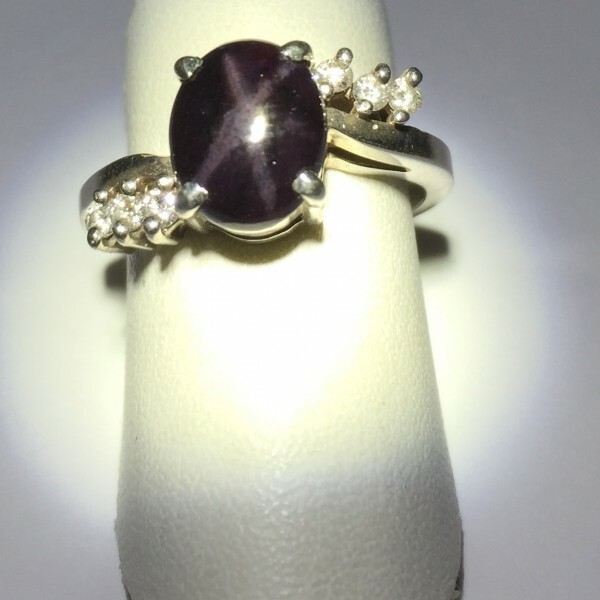 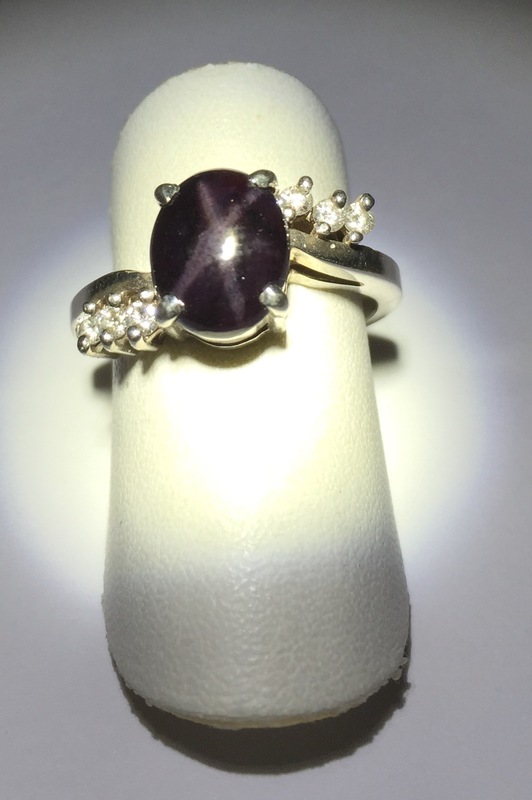 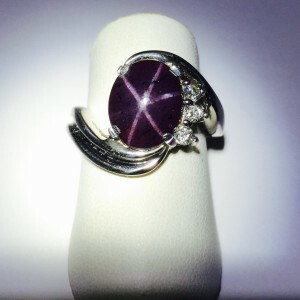 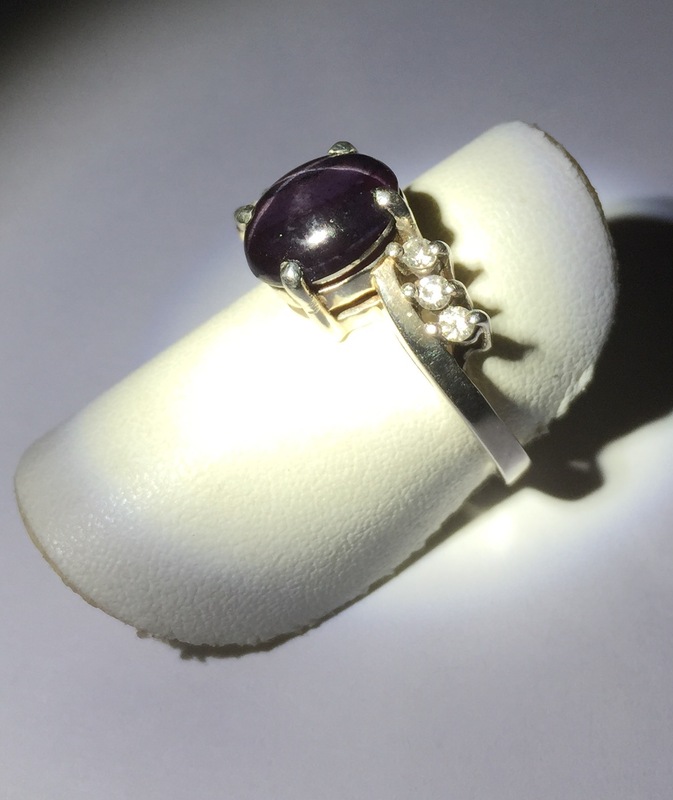 This Star Garnet ring has some bling even though the mounting is Sterling Silver. 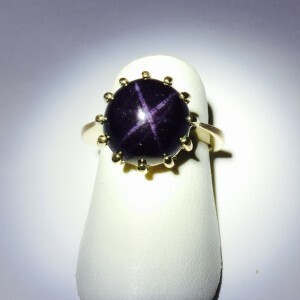 The mounting has six 3pt diamonds giving the nice bling effect. 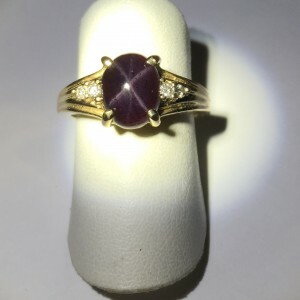 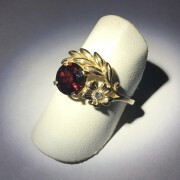 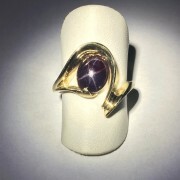 The Star Garnet Stone is a 9×7 oval with four strong rays. 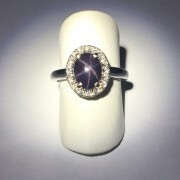 You will find six total diamonds running in two sets of three. 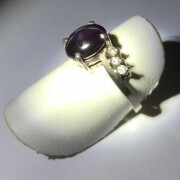 Mounting is sterling silver, helps with cost.